South Coast companies are engaging with the University of Wollongong to embrace innovation and solve industry problems with the support of the NSW Government. The Government has invested $18 million through its Boosting Business Innovation Program which is providing $1.5 million to each of our State’s 11 universities – including the University of Wollongong – and CSIRO to help small to medium-sized enterprises (SMEs) innovate and grow. “With the support of Boost, UOW is operating its ‘Advantage SME’ program to help businesses access the University of Wollongong’s world-class expertise, infrastructure and research capabilities,” Parliamentary Secretary for the Illawarra and South Coast Gareth Ward said. The Shoalhaven Business Chamber held a ‘Business After Hours’ event for business owners and operators sponsored by UOW’s Advantage SME on Wednesday 25th October at UOW’s Shoalhaven Campus at West Nowra. UOW Advantage SME Manager Zahra Shabazian was there to advise how the university can help businesses, and about leveraged funding opportunities including through Boost’s TechVouchers program. 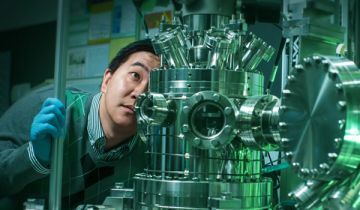 “Through Advantage SME, UOW provides a one-stop service for regional SMEs to access university resources including researchers across different disciplines, lab services like the Australian National Fabrication Facility Materials Node and innovation centre at iAccelerate and industry events,” Mr Ward said. Through the Boost program, the NSW Government is helping UOW and other universities to develop a networked innovation ecosystem across NSW while helping SMEs develop innovative products and services, improve business capabilities and engage in regional industry collaboration. For further information visit Boosting Business Innovation Program.